We are a full-service import and manufacturer distributor. 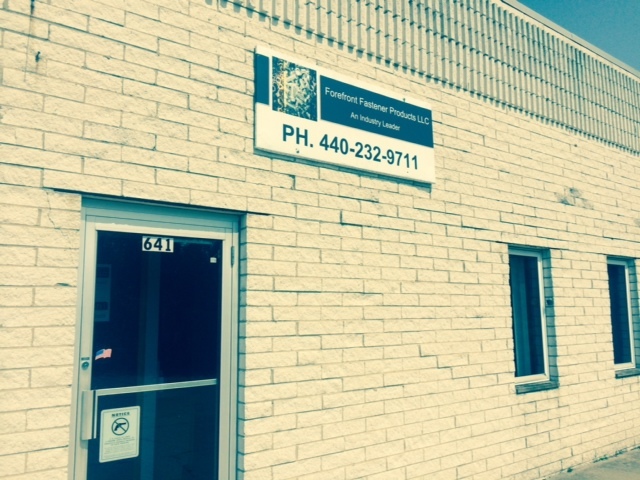 Proudly serving Northeast Ohio, Forefront Fastener Products LLC has not only developed a strong reputation for quality and service, but also for its extensive inventory and timely delivery. It's the products that Forefront Fastener distributes that meet industry standards in the most efficient, economical manner possible and the staff that makes it possible. Our staff of certified, highly-trained technicians are ready and equipped to take on any job you have. Give us a call today. As our staff about our line of metrics and cutting tools.